Seeing is Believing is Standard Chartered’s (“the Bank”) global initiative to tackle avoidable blindness and visual impairment. 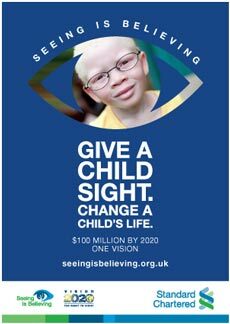 Standard Chartered has raised USD 100 million between 2003 and 2018 for Seeing is Believing through fundraising and the Bank’s matching funds. 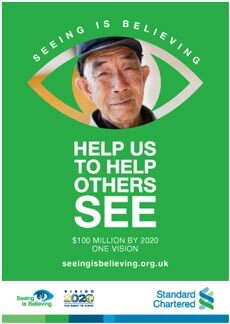 Funds raised for Seeing is Believing are invested in eye health projects that range from providing comprehensive eye care in low and middle-income countries to building innovative eye health delivery solutions. In 2013, Standard Chartered extended its support to eye health by committing USD 20 million to support the work of the Queen Elizabeth Diamond Jubilee Trust towards eliminating avoidable blindness. The phases of Seeing is Believing’s development are broken down below. Please note that all phases since Seeing is Believing’s launch in 2003 have now been rolled into the USD 100 million commitment. 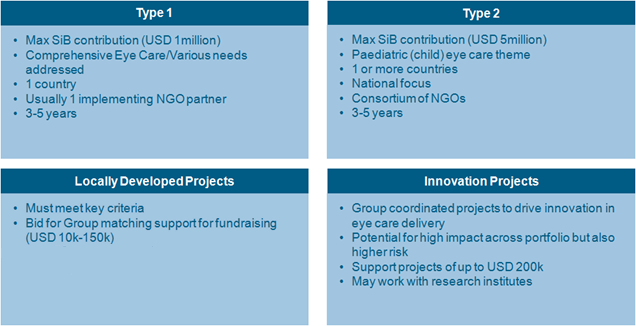 Seeing is Believing (SiB) is jointly governed by Standard Chartered and IAPB. Representatives from both organisations, together with external advisors, formed the SiB Management Committee to manage the overall programme design, approve projects and oversee the fundraising strategies. The Management Committee is supported by the Programme committee, Fundraising committee and the Innovation Fund Investment Committee. 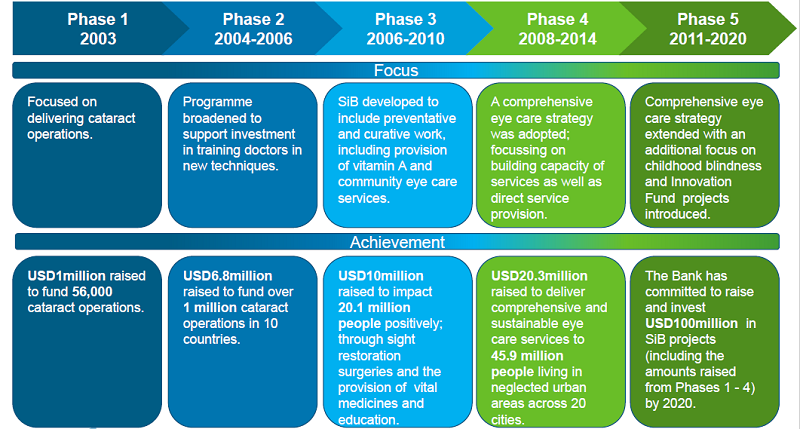 Standard Chartered has been in partnership with the IAPB during the years 2007-2018 to fund eye health projects. The Bank has captured the story of the SiB partnership in “A visionary partnership: 15 years of Seeing is Believing“, a report that highlights how the private sector and non-government organisations (NGOs) can draw upon their diverse capabilities to positively impact the lives of millions of people. It also summarises key lessons learned that may benefit other companies and NGOs considering similar multi-stakeholder partnerships. Avoidable blindness is a key health issue across Standard Chartered markets and is close to the hearts of its employees. The programme not only unites staff, but also clients, business partners and the wider community, fulfilling a shared expectation to make a difference to the communities in the Bank’s footprint. Avoidable blindness is preventable or treatable forms of blindness. More than 75% of blindness and visual impairment is avoidable.